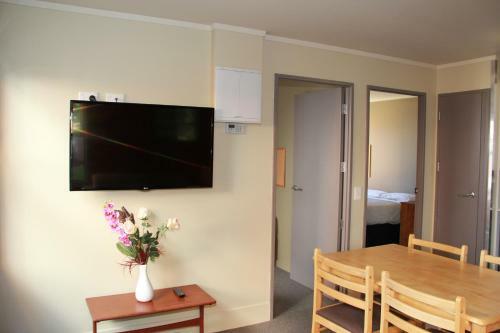 Offering free Wi-Fi, Boutique Motel features 10 quiet modern units, centrally located between Nelson and Richmond. Guests enjoy free access to bicycles, a DVD library and barbecue facilities. 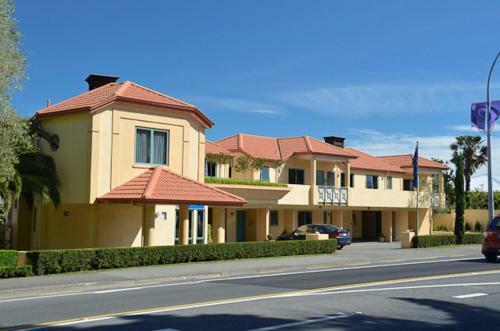 Just a short walk away from Tahunanui Beach, Beachcomber Motor Inn offers free Wi-Fi, a heated swimming pool and small fitness centre. Nelson Airport is 3 km away. 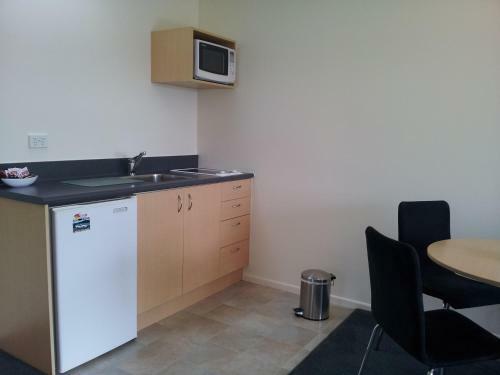 The modern and spacious Bay Crest Motor Lodge is located in the heart of Tahunanui with its cafes, restaurants and bars. It is also close to Tahunanui Beach. Guests enjoy free WiFi access. 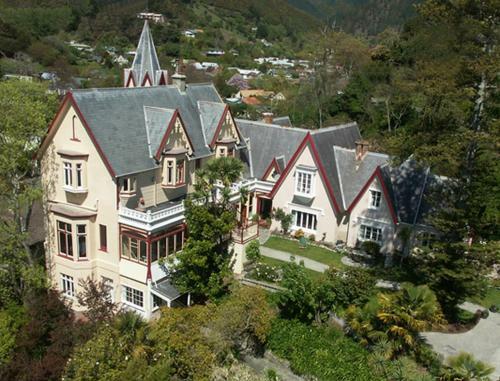 Tuscany Gardens Motor Lodge is situated in Tahunanui, 600 metres from the beaches of South Island. It offers air-conditioned studios and suites with separate kitchens. 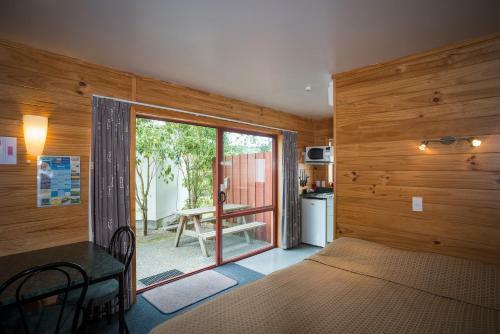 Set in the Motueka area and within 15 minutes driving of Kaiteriteri beach, the Chalets @ Terraced Gardens offers accommodation with views of Riwaka Valley. Free Wi-Fi is available in each chalet. A Culinary Experience Luxury Bed And Breakfast offers suites with free Wi-Fi, a private balcony and an iPod docking station. There is a hot tub, a sunny terrace and a shared lounge offering panoramic water views. 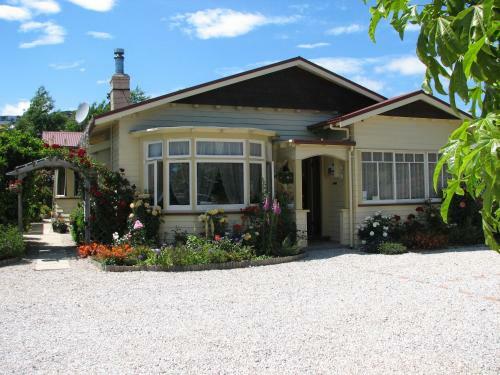 Just 7 minutes’ drive from Tahunanui Beach, Ambleside Villa offers accommodation with beautiful garden views, free Wi-Fi and free breakfast. It features a hot tub, a sunny terrace and barbecue facilities. Situated in the heart of Pohara Beach at Golden Bay, Ratanui Lodge offers rooms with free Wi-Fi and free continental breakfast in a beautiful natural setting. It boasts a saltwater swimming pool, a restaurant and a cocktail lounge. 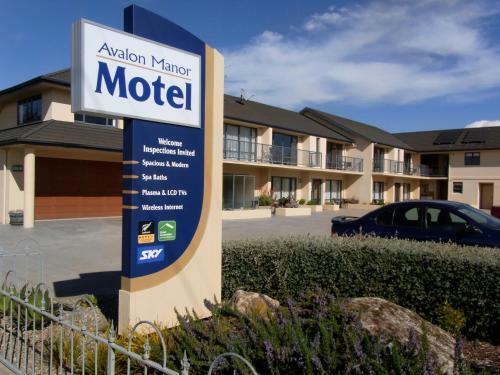 Avalon Manor Motel is a 5-minute walk from the Motueka Town, and 1.5 km from the Motueka Golf Links. This 4.5-star property offers barbecue facilities and free parking on site. Each room has access to unlimited free WiFi. Westhaven Retreat offers luxury accommodation and access to a private beach and several activities throughout the remote Golden Bay Region. Guests enjoy a 24 meter indoor swimming pool, a hydrotherapy spa and a cleansing infrared sauna. 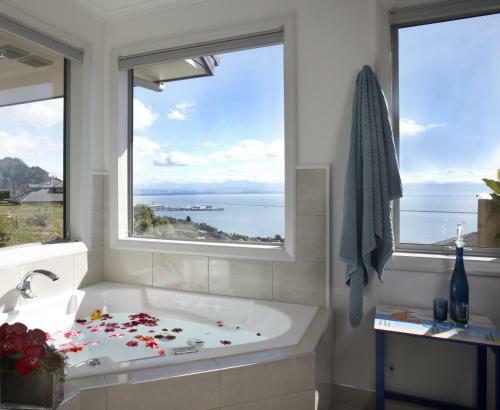 The Waters is a luxury boutique B&B on the Kina Peninsula, just a 30-second walk from the shores of Tasman Bay. All rooms have a Nespresso coffee machine and all guests have access to a spa pool. Just 5 minutes’ walk from Tahunanui Beach, Beaches Motor Inn offers self-contained accommodation with a private balcony or patio. It features a barbecue area, free bicycle rental and free WiFi. This hostel offers free unlimited Wi-Fi, a log fire in the guest lounge and heaters in all rooms. 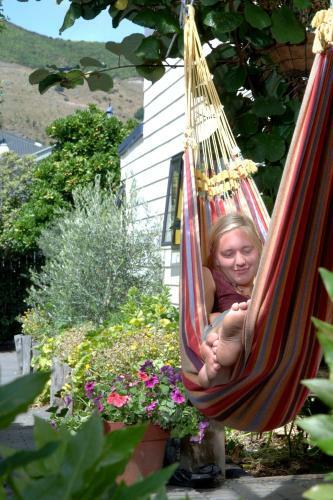 Guests can relax in the hammock in the garden or explore Nelson using one of the hostel’s free bicycles. 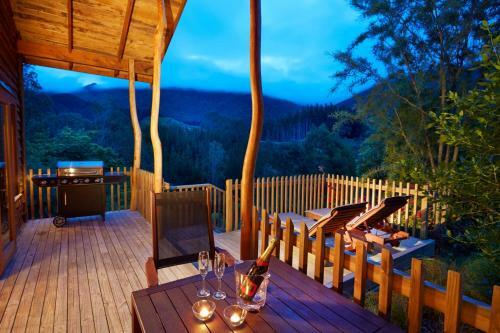 Set on 50 acres of native forest next to the Kahurangi National Park, The Resurgence Lodge offers free WiFi, a hot tub and a guest lounge with a fireplace. All accommodation features a balcony with beautiful forest and garden views. Situated directly opposite Nelson Hospital and 5 minutes’ drive from Nelson’s town centre, this holiday park offers free gas BBQs, bicycle rental and a children’s playground with a trampoline.